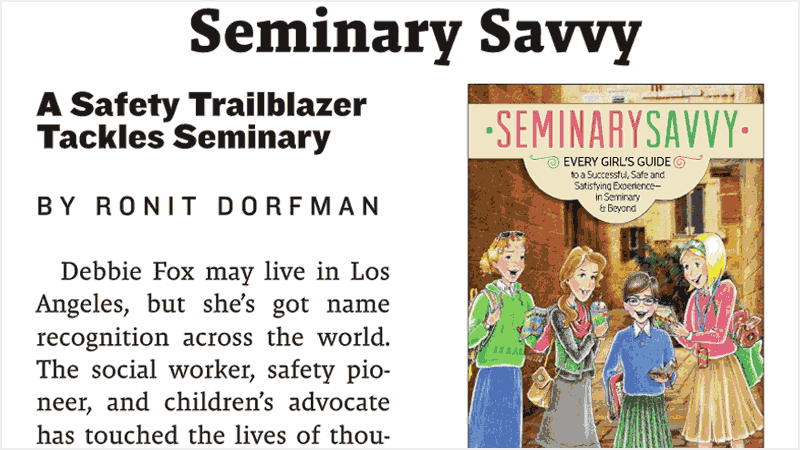 Journalist Ronit Dorfman of 5 Towns Jewish Times interviewed Magen Yeladim Child Safety Institute founder and Seminary Savvy author Debbie Fox, LCSW, about her new book. Debbie candidly shares her inspirations for writing the book, how it fits into her mission of helping Jewish children grow up in safety. This latest, much-lauded effort continues to empower and educated children, parents, educators and community leaders to create that safety net when girls are perhaps most vulnerable, far from home and on their own for the first time.